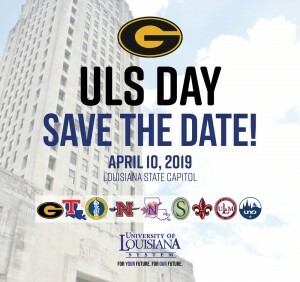 Grambling State students and alumni to join the University of Louisiana System in support of higher education. This entry was posted in advancement, alumni, campus, events, gramstory on March 28, 2019 by Jovan Hackley. 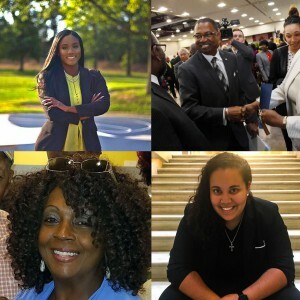 This entry was posted in advancement, alumni, events on March 27, 2019 by Jovan Hackley. This entry was posted in advancement, alumni, athletics, awards, events on March 8, 2019 by Jovan Hackley. 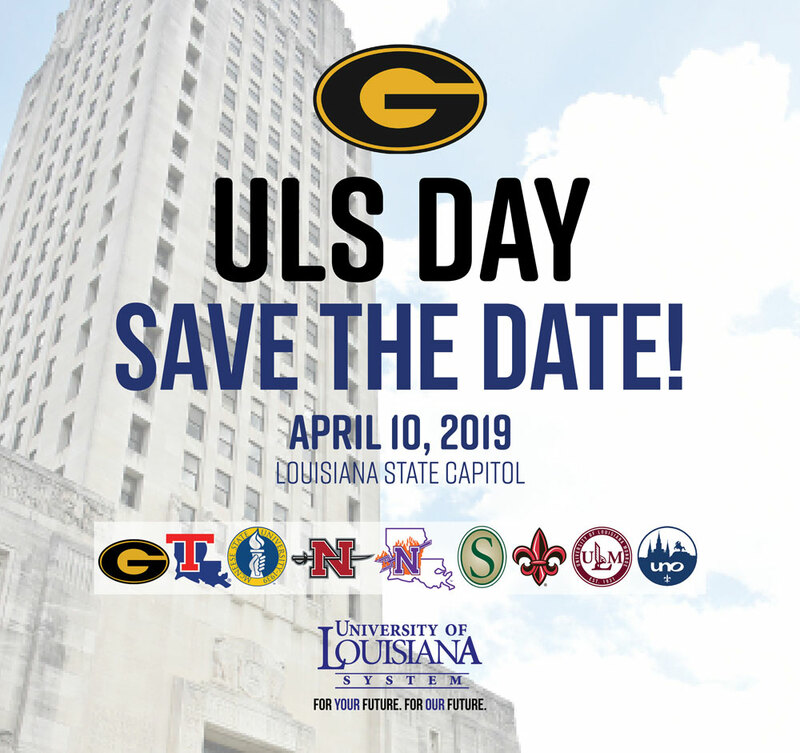 One of the core tenants of the Grambling State mission is “striving for excellence.” Daily, across the country thousands of alumni are honoring this call by making impact in sports, technology, and in public service. This entry was posted in advancement, alumni, events on February 22, 2019 by Jovan Hackley. WASHINGTON – January 30, 2019 – Howard University has appointed Dana Williams, Ph.D., as the Interim Dean of the Howard University Graduate School. Williams serves as the chair of the Department of English and a professor of African American literature. 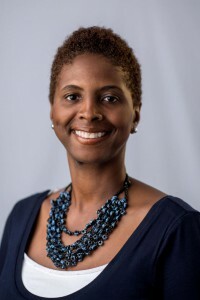 She received her bachelor of arts degree in English from Grambling State University and her master of arts and doctoral degrees in English from Howard University. This entry was posted in academics, alumni, awards, press release on January 30, 2019 by Jovan Hackley. GRAMBLING, LA — November 15, 2018 — Grambling State University set a new record winning top honors in five categories at the 2018 HBCUGrow LEAD Awards – including recognition for President Rick Gallot in the best leadership category for the second consecutive year. 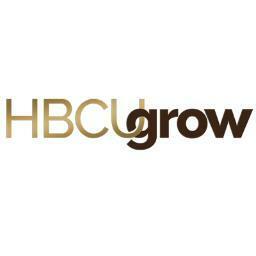 The Best Leadership award is given to an active president of a historically black college and university at the HBCUGrow Lead Conference; one of the country’s fastest-growing university leadership training events. 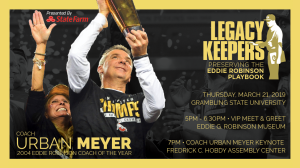 This and Grambling State’s other recognitions follow just one week after the University raised a record $1.3 million in its 2018 Bring it Home fundraising campaign. Other recent successes include, an approval to offer Louisiana’s first bachelor’s degree in Cybersecurity and a 100 percent increase in the University’s fiscal health. Winners were selected in several categories based on peer nominations and input and data reviews by a panel of judges. This year’s categories included LEAD Innovation, LEAD Marketing, LEAD Website, LEAD Military-Friendly and Best Leadership. This entry was posted in advancement, alumni, awards on November 15, 2018 by Jovan Hackley. District 26 State Rep. Jeff Hall made history Tuesday night, becoming the first African American to be elected mayor of Alexandria. Hall, a former Cleco executive, received 53 percent of the vote and beat his closest challenger by more than 2,400 votes. 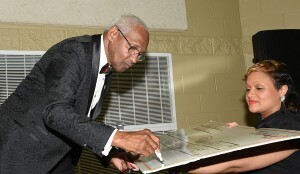 The Grambling State University accounting graduate also worked for the city of Alexandria for seven years in the 1970s before going to work for the Central Louisiana Legal Services and the Rapides Parish Police Jury. He joined Cleco in 1981, where he worked for 32 years. In addition to serving in the Louisiana Legislature, Hall is the former chairman of the Greater Alexandria Economic Development Authority (GAEDA) as well as the Alexandria Central Economic Development District (ACEED). 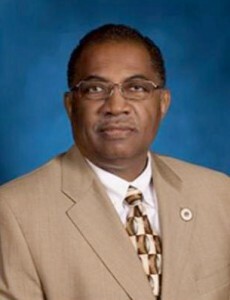 Hall also served on the Rapides Hospital Board of Trustees. President Rick Gallot and the Grambling State University family congratulate Mayor-Elect Hall and wish him great success. This entry was posted in advancement, alumni, awards on November 7, 2018 by Greta Carter. It’s never too early to start the path to become a Tiger! 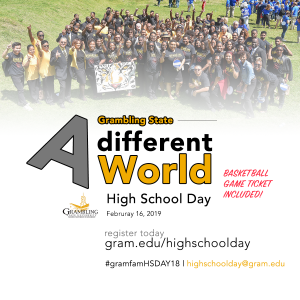 This Spring Grambling State will welcome thousands of families, prospective students, and leaders to its 2019 Spring High School Day – February 16. This entry was posted in advancement, alumni, campus, events, gramstory, registration on November 6, 2018 by Jovan Hackley. This entry was posted in advancement, alumni, bringithome on November 1, 2018 by Jovan Hackley. 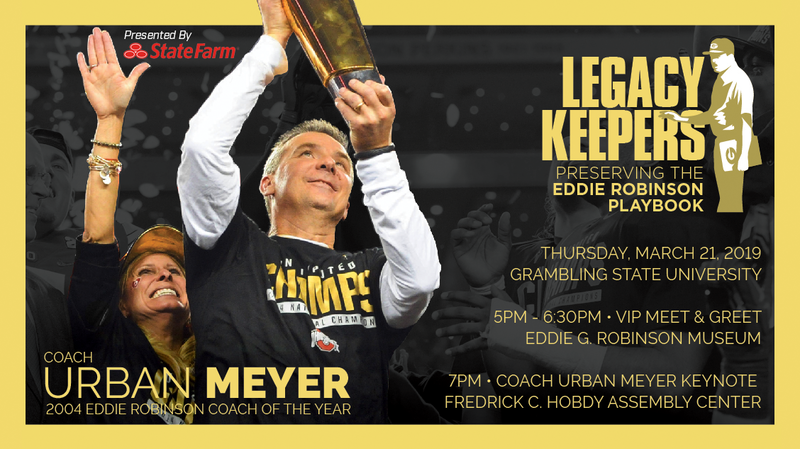 There are just a few days left to help Grambling State University Bring It Home 2018. 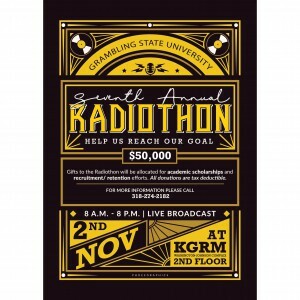 No matter how you’d like to give, the 7th Annual Radiothon and Day of Giving is a great time to make your tax-deductible contribution and help our students, faculty, and campus continue to grow. This entry was posted in advancement, alumni, awards, bringithome, campus, events, invest, money on October 31, 2018 by Jovan Hackley.